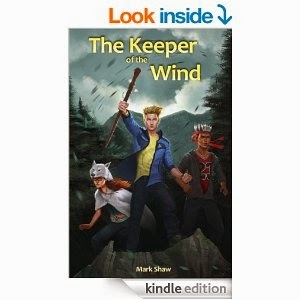 "Keeper of the Wind," by Mark Shaw, ­­is a young adult novel with elements of adventure and historical fiction. The story revolves around three high school seniors who discover artifacts during a camping trip and subsequently try to sell them, only to get caught up in a web of drama, action, and adventure. This is Shaw's first novel, but it certainly does not feel like it. The writing makes the book feel as though it were written by a seasoned veteran. The characters are incredibly dynamic. Each of the main characters is very different in terms of personality, upbringing, etc, and Shaw does a great job with each of them. The plot is very engaging. You'll start off interested in the story in the beginning, but soon find yourself NEEDING to know what happens next. There are enough twists and turns in the book to keep you up late at least a few nights, until you finish. There are also a number of lessons that young minds could take to heart in the book. Overall, if you like YA books with a bit of history and adventure, then this is the perfect book for you.